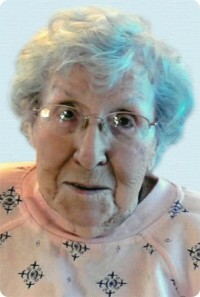 Margaret (Schott) Mortimer, 105, of Kittanning, PA, passed away Tuesday, January 8, 2019, at her residence. She was born December 5, 1913, in Elwood City, PA, to Harry and Ida (Wiley) Schott. Margaret graduated from Lincoln High School in her hometown of Elwood City and went on to study elementary education at Geneva College. She earned her teaching certificate and was employed for many years as a substitute elementary school teacher within the Armstrong School District. Margaret was also a member of the Armstrong County Memorial Hospital Auxiliary and Grace Presbyterian Church, where she belonged to the Women's Association. Her memory will be cherished by her grandson, James E. Mortimer, of Marietta, GA; daughter-in-law, Carolyn Mortimer, of Marietta, GA; nieces, Suzanne Echtenkamp, of Ft. Wayne, IN, and Marsha Donelson, of Los Angeles, CA; nephew, Bruce Jones, of Glastonbury, CT; and five cousins. She was preceded in death by her parents; loving husband, Henry J. Mortimer, who died November 12, 1989; and son, James V. Mortimer, who died June 12, 2003. The family will receive friends from 2-5 PM on Sunday, January 13, 2019, at Bauer Funeral Home and Cremation Services, Inc., 515 N. McKean St., Kittanning, PA.
Additional visitation will be from 10 AM until the time of the funeral service at 11 AM on Monday, January 14, 2019, at the funeral home, with the Rev. Dana Wilmot officiating. Interment will be in Lawn Haven Burial Estates, Worthington, PA. Contributions may be made in Margaret's honor to Grace Presbyterian Church, 155 N. Jefferson St., Kittanning, PA 16201, or the Kittanning Public Library, 280 N. Jefferson St., Kittanning, PA 16201.